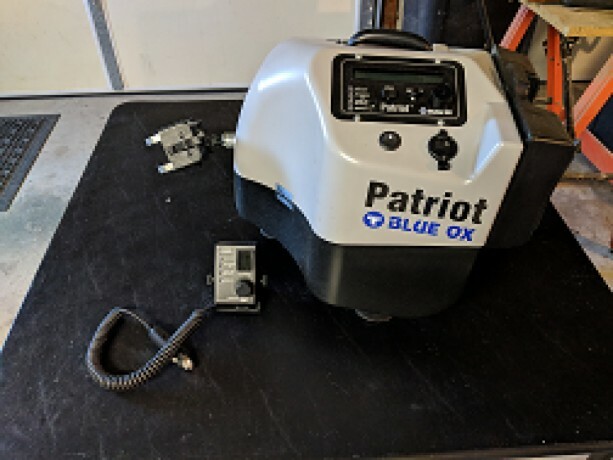 BlueOx Patriot braking system model BRK2012. Still in original box. Includes wireless remote and adjustable feet. Will ship for free up to 20 dollars shipping cost. Price is firm. Hi there. Still available? Shipping to Tampa, Florida? New or slightly used? Thanks! Yes still available and yes I can ship to Florida. Only slightly used and works great. Still in original box. Sorry, been out of touch for a while. OK, $600 shipped to me. How do we do this? give me your address and I will let you know what the shipping cost. once you agree, you can paypal me and then I will ship to you. if you are unsure cause you do not know me, you can check out my ebay profile, simonbar980 and you will see that I am not a scammer. I will throw in $20 towards the shipping so your price for the Patriot will be $580 plus shipping. If you do not use paypal, you can send me a check and once it clears I will ship.